Our coaches will help you transform your game from a weekend recreational hobby into a championship-calibre passion. 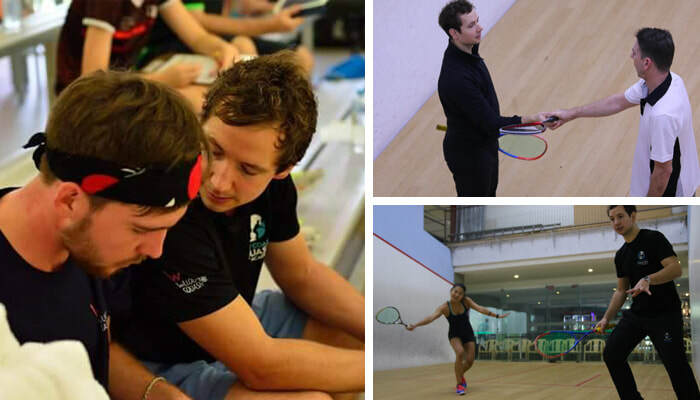 We instruct squash players of all abilities to become champions — deploying the Deliberate Practice Principles used by Olympians, Commonwealth Games Athletes, and World Champions. Our process encompasses the learning Squash fundamentals through self awareness, fitness and thinking the game. And we do it all with constant, instant feedback in the moment! Schedule an appointment with our instructors at any of our locations. All private lesson fees include court, racquet and equipment hire for our sessions.